When there’s a red sign with white text it can only mean one thing… SALE TIME! I was first introduced to OASIS clothing by my friend Jess who works in one of the Bristol stores. I always find myself rummaging through a mountain of her Oasis buys in order to find something perfect for a night out. Oasis claim that they provide an ‘eureka!’ moment to a ‘nothing to wear’ dilemma, which they couldn’t of phrased more perfectly. It’s feminine and flattering pieces brings the best to a contemporary British wardrobe offering bright colours and adorable patterns. Oasis caters to any style to any occasion so taking a sneak peak at their website is an absolute must! 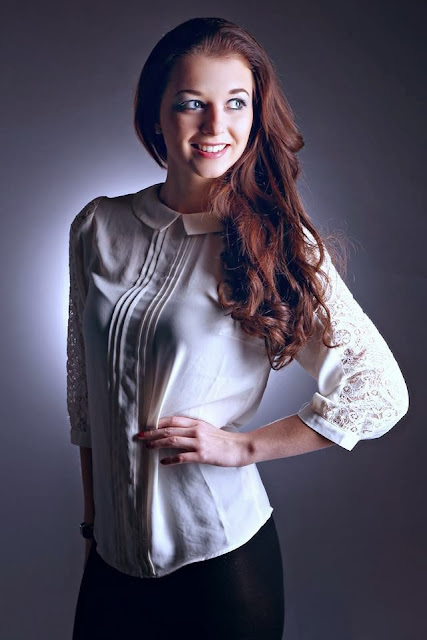 This chiffon blouse is one of my favourites! It features a peter pan collar with gorgeous lace inserted on the sleeves. This piece is finished with pleat detailing on the front with a key hole cut out on the back with a button to fasten at the neck. This top looks amazing with just jeans or part of a work assemble. I purchased this top for £22.00 in the sale. This top looks incredible with anything! A casual sleeveless top with lace detailing and a slit to the neckline. I usually wear this top with light grey jeans with lots of bangles and black military boots. I bought this top for £15.00 in the sale. This top featured in my September/October favourites! 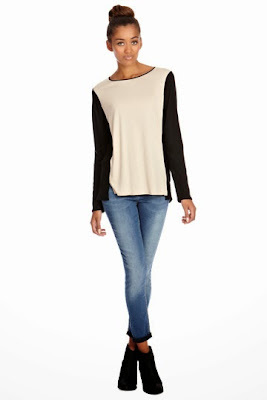 This colour block top features long sleeves with a scooped round neckline with piping detail. This top is perfect for an everyday look as it’s light and comfortable. I like to wear this top with shiny black leggins/jeans and black boots. I bought this top for £15.00 in the sale. Will you be buying anything from Oasis? Why not enter our Twitter RT competition to win lots of beauty prizes! To enter, click here. Ends this Saturday! Previous Post ASOS Voucher Buy!